Resident Evil 6 is played through the perspective of six characters through three separate campaigns. Each campaign follows two characters and their struggle to deal with the situations they find themselves in. Each of the three campaigns are different, yet they all intersect at one point or another. The main protagonists in the game are Leon S. Kennedy, Chris Redfield, and Jake Muller and their varied partners accompany them. Each campaign is also intentionally styled differently. Chris Redfield’s campaign is more action based horror, Leon S. Kennedy’s is more frightening or intense horror, and Jake Muller’s is more classical horror in which he must outrun a terrifying enemy. 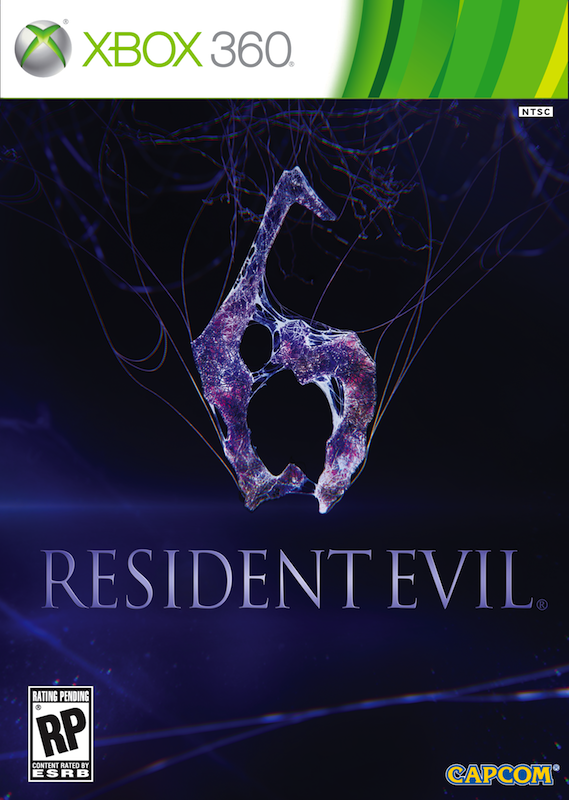 As the sixth game in the series, the game expects players to know some of what is going on and what has happened in the past with events such as Raccoon City and Africa, taking place in previous games. In Resident Evil 6, a bio-terrorism attack has left the world with zombies, and creatures resembling zombies. The C-Virus as been unleashed on the world and it’s the main characters’ duty to confront and fend off the terrorism attack. There is a fourth playable campaign in which players will play as Ada Wong, alone. Her campaign is the only solo campaign in the game, whereas the others may be played cooperatively. Resident Evil 6 is played in the third-person shooter style, but each campaign has slightly different unique qualities to it. As a survival horror, players will be forced into impossible situations with little to no ammo at times forcing them to chose whether to fight or run away. Free melee has been added into the game, at any point in the game (in combat or not) players may use melee combat in order to conserve ammo. Combo’s may be achieved by repeatedly pressing the melee button. Jake Muller has a very unique melee style, as he has a mode in which he may use his bare hands and feet to attack enemies. Other characters may use a knife or another weapon to hit enemies. Leon Kennedy has the ability to duel wield his pistols, allowing him to shot two guns at one time. Chris Redfield is more proficient with knives than the other characters, and also expends less energy when in melee implying that he is a strong fighter. Throughout the game players can pick up weapons and change them in real time, as opposed to having to enter the inventory menu and personally equip a weapon. The weapons are basic: pistols, a sniper rifle, assault rifle, shotgun, etc. Grenades are available and range from flash bangs to incendiary grenades. Health remains classic with a new touch. Much like in the rest of the Resident Evil series, players will collect herbs throughout Resident Evil 6 as health. The new touch comes from the herbs being transformed automatically into pills in the inventory. These pills can be combined or simply equipped separately and must be manually stored on your character. This allows for players to simply press a button to heal when health is available. A new gameplay feature to the series is the ability to become prone, laying on the characters back, and shot enemies from that position. Players can roll form side to side or back up and move forward in this position as well. When a player’s character is taken down, they will have a short amount of time to be revived by the other player or AI teammate. When down, a player can move around and shoot off enemies but movement is limited and weapons cannot be switched. If a player cannot be revived in time, the game ends and the player must revert to the past checkpoint in the story. The game will give checkpoints rather often though, so usually not very much progress is lost. Skill points may be acquired throughout the game my breaking open boxes, opening chests, and killing enemies. These skill points can be used at the end of each chapter to buy special abilities such as improved melee strength, steadier aim, and more health. These abilities can be set in groups of three, and players can make various groups and equip them when they are most appropriate. Something interesting yet subtle this game offers is the different HUD displays for each character. Each character has a different HUD display based their communication device, and each menu has a different layout as well. This game features two separate modes aside from the campaign in which players can play with or against each other. One is called Mercenaries mode which is like a horde mode in which two players can work together to fight off the zombies in a set amount of time. Combo’s and special take-downs will add more time to the clock, giving you more time to rack up the score. The other mode is called the Agent Hunt mode. This mode allows a player to join another players campaign as an unmarked enemy, giving the opportunity to pose a real threat to the player in campaign. With each campaign being different, they are each presented differently. They all share the basic zombie-apocalypse -type feeling, but each has a unique environment and character . Throughout the game the ambient music sets the mood for fear, action, compassion and everything in between. The graphic content of the game is good, but not amazing and should not be expected to be much better than most games out today. Cutscenes in the game are given a good polish, making them memorable and nice looking. the flow of the game is smooth, allowing for gameplay and cutscenes to move together without many pauses. The game is not all about graphics though, the gameplay paired with the atmosphere makes for a compelling playthrough. The integration of the campaigns is seamless and does not feel forced or uncomfortable. These meetings work together so that the player does not see the same scenes over and over again. There are parts of the game in which the characters will meet and then be forced to take another path or stay back and fight, and withing each campaign players will see both sides of these instances. Resident Evil 6 features quick time events in it’s cutscenes as well. These events will allow a player to make split second decisions to press a button (or buttons) quickly and efficiently to move the character forward. This makes for an interactive experience even in cutscenes. Overall the game offers an interesting and unique feeling, paired with the classic feelings that Resident Evil fans have grown to love. Aside from the criticism this game has received by professional reviewers, I had a great time playing it. I feel that the negativity was somewhat unjustified since it seems as if this franchise is damned if they do and damned if they don’t. By that I mean that they change things, and people get made, but people also seems to dislike the things that weren’t changed. It’s as if it was doomed from the start. I wouldn’t consider this game to be game of the year, but it’s definitely a runner up. As a Resident Evil fan, I played this game very objectively, trying not to let my emotions and love for the series get in the way too much. That being said, I still very much enjoyed this game. I really loved the fact that the game was set up into four separate campaigns and I thought that bringing back classic characters as well as introducing new ones was a great way to spice up the game itself. I would definitely recommend this game to fellow gamers. It’s a least worth borrowing or renting, and I think that if given the chance, most people would enjoy the game as much as I did. It’s good to read a perspective that’s not super hating, as pretty much ALL of the mainstream gaming media is doing. I know right? It’s pretty sad since this game is so great! Great little review. In the gameplay, I also realized that using the tic-tac health near your partner also heals them – so it’s good to stick together. The game definitely had a great feel of atmospheric horror. I’ve only finished Leon’s campaign because I’m only playing the campaign with a friend of mine, but all of the boss fights are challenging and really creative, like Chris’ snake problem. Although I do thing at times that this game doesn’t look as good as the others, it also looks better than most games. Just about all of the environments have great depth and construction, it catches your eye. And if anything, I’m glad I can enjoy cutscenes without the quick-timed events that do nothing for games during cutscenes. I do like what they did with them though, like the counter attacks.